Swedish massage is the most common type of massage practised in the west today. It is frequently used in spas, and is often a good massage to choose if you haven’t experienced a massage before. Your therapist will use long, flowing, smooth strokes, combined with rhythmic kneading, tapping and frictions to the top layers of your muscles, as well as movements of the joints and gentle stretches. Swedish massage can be both relaxing, slow and gentle or energising, vigorous and stimulating. Your therapist will adjust the pressure, technique and style to meet your individual needs and preference. The tradition of massage is as old as man himself; because to hold or rub an injured part is an instinctive reaction to pain or discomfort. 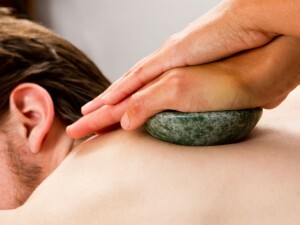 Today, massage is a multidimensional skill encompassing a wide variety of ever evolving techniques, many of which have their roots in the Swedish massage system. Swedish massage is most commonly used for relaxation, it’s many benefits include improving your health and well-being, improving your circulation, soothing your muscles, easing muscular pain by flushing out toxins, helping to keep muscles, ligaments and tendons supple and reducing emotional and physical stress. Stress can manifest itself as physical, emotional or spiritual discord, especially in today’s world where we do not give enough time to ourselves: time to rest, to heal and to repair …. We always seem to be rushing and never stopping to listen to the warning messages our bodies send us. Pain is the body’s last resort; it is a result of not listening to those warnings. By actually taking time out to regularly maintain our bodies by choosing to receive a massage, we are less prone to stress and illness. We service and MOT our cars, why not our bodies? After all, they have to last us a lifetime.